Are GMOs Safe? What does science say? This compilation is a sample of the scientific references including over 1400 studies, surveys, and analyses that suggest various adverse impacts and potential adverse impacts of genetically engineered (GE/GMO) crops, foods and related pesticides. Their words are chosen very carefully. The word “suggest” and “potential” are not definitive. I was expecting a statement such as GMOs cause this . . . Their obscure statements are similar to me saying, “If I walk down to my mailbox (which is located at the end of my driveway on a road) to retrieve the mail, I have the “potential” of getting hit by a car.” The words “suggest” and “potential” gives their research a lot of leeway in my opinion. I proceeded to look at some of the exact research in their list. One of the reports stated that Monsanto developed corn that contained toxins which cause organ failure in rats and adverse effects in pregnant women. This sounded serious. Upon further research, I find out these claims are false according to the well-known site Snopes. Snopes.com is an Internet source that looks at specific claims and determines if these claims are accurate. And no, Snopes does not and never has received any monies from companies or industries – they are an independent entity, who receives their funding from advertising. Other than Snopes, how does one know if a research report is true? How will I know if GMOs are safe? For the non-scientific person (such as myself), there are some basic requirements to determine if a study is respected and an approved science research study. Authentic scientific research needs to be peer-reviewed and able to be duplicated. In addition, one must also determine biases such as who is funding the research and does this funding affect the results of the study? Check this link to learn more about evaluating biases. Another common argument I hear often is the “correlation is causation.” We need to be very careful about that analysis. Just because two things seem to correlate, or happen at about the same time, does not mean one caused the other. Correlation is an example of pseudoscience. Biofortified.org and GMO Answers are good websites to reference. 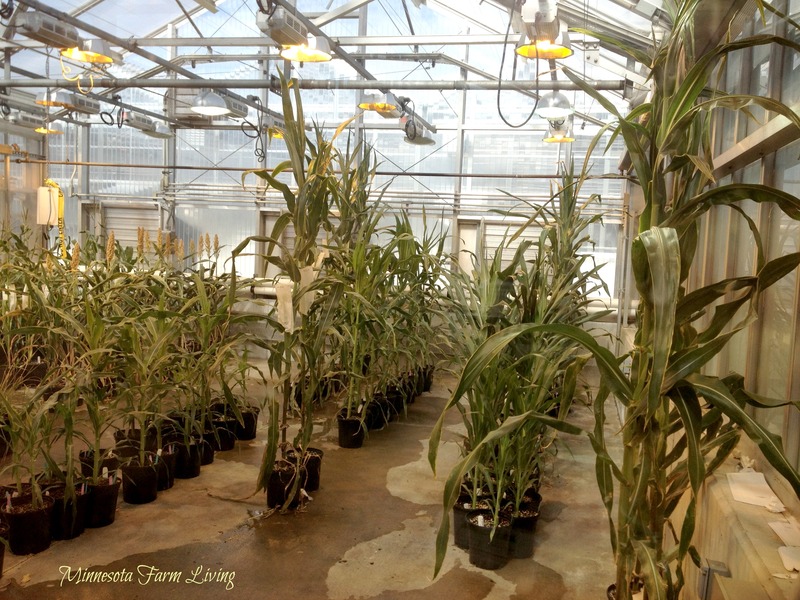 Biology Fortified, Inc. is an independent, non-profit organization devoted to providing factual information and fostering discussion about issues in biology, with a particular emphasis on plant genetics and genetic engineering in agriculture. They list GMO research studies, including independent studies. And let me just state that not all the studies are positive to GMO, although the majority are. Here is a good synopsis article about these studies. GMO Answers is also the resource where anyone can ask GMO-related questions. The independent experts who answer consumer questions are not paid by GMO Answers to answer questions. Experts donate their time to answer questions in their area of expertise for the website. They do so because they are passionate about helping the public better understand GMOs and how our food is grown. hydrogen (H2O) is part of the makeup of water. Hydrogen is also used to make gas, therefore, water must not be good for us because hydrogen in gas is highly flammable. People fall for these ludicrous analogies and her charisma. Her gain? Money and notoriety. I am not saying everything she is doing is bad, but we really need to look at her analogies with a critical eye because many of them are misleading. And the bottom line is GMOs are safe. I want to make it perfectly clear that I am not against non-GMO–I am just against the misinformation about them. All I ask is to please do your own research. Well done, Wanda! Good on you for being skeptical and digging a little deeper. Nothing wrong with being skeptical, any technology has the potential to be used incorrectly and we must always be weary of this. Thanks Sarah! Yes, it’s always good to be open-minded and research. Good post, Wanda! Critical thinking and research seem to becoming extinct. One of our customers posted a meme that noted the very information you quoted about Monsanto. It also stated that insects stomachs “blow up”…and in the background of the meme was an ear of corn made to look like a hand grenade! And, she posted it and believed it. *sigh* When I pointed out that Bt is naturally occurring and has been used in ORGANIC production for years, she just said “Oh…good to know…” …and kept on posting. Today, someone else posted that Roundup is in 75% of rainwater samples. This was followed by a long post about how awful it is that SO MUCH pesticide is used in conventional Ag. They are quite upset, but don’t want to take the time to find out the real story. I’m struggling for a way to reach these folks. It is hard Barbara because there is so much misinformation! Critical thinking has never been so important. We just need to keep trying and reach these people. The challenge, I believe, will be those people who already have their minds made up. It’s difficult to change minds once their have their own beliefs and convictions. I was just saying I needed to learn more about GMO – thanks for the info! Another set of anti-GMO claims is of the form subject A is linked to bad thing B. Most people who are sufficiently logical to realize that correlation is not causation will, nevertheless, assume that a link is at least suggestive of a cause. But I have tracked a few of these links and found that some are grossly misleading. For example, there was a study that investigated whether A might cause B, but the study found no evidence of that. So what is the link? The link is that A and B were in the same study! Yet another foolery is to use a word that you are sure will be ignored. For example, Dr. Douglas Gurian-Sherman presents evidence to show that GMO crops don’t have increased intrinsic yields. He is a careful enough scientist that he cannot bring himself to lie, but he seems comfortable with misleading. He’s confident that almost everyone will assume that “yield” is the important word, and will sort of ignore “intrinsic”. But intrinsic yield is the crop’s yield under optimum conditions, including adequate water, soil and sun, but also including no weeds or insects or other pests. No increase in “intrinsic yield” is entirely expected if the crop has been engineered to facilitate weed control or to repel insects or viruses. The achieved yield for a given cost is what the farmer will pay for. Thanks Charles for the insight. I agree with your comments. Somehow people need to elevate their science knowledge. Science isnt always a good thing!! Just like splicing DNA of salmon with corn is not a good thing!! I think the GMO salmon you are talking about is actually 2 genes coming from another fish species. This genetically engineered salmon results in 2 genes out of 40,000. Great thing is you have choice and choice is good for all of us. Actually the Aquabounty transgenic salmon has a single gene from Chinook salmon and promoter (piece of DNA that controls when genes are turned on or off, it does not produce a protein product itself so is not a gene) from the Arctic pout. So there is a salmon gene in the salmon. It is difficult to understand how people can be against this but unfortunately they are. Nice article. Understanding how GMOs work is complicated; it’s much easier for people to believe the simple but incorrect info about GMOs. We have much education to do on this topic! Yes, we do! We just need to keep listening and talking and making connections with people. When I initially posted the instructions for how to accept the Liebster award, I left off the questions for my nominees to answer. I added them to the post I linked in my comment above the next day, but am just checking to be sure my nominees are aware of the update. There is no obligation to accept the award, and forgive me for not knowing if you have already received it. Even if you have, I’m glad I had the opportunity to tell you how much I like your blog! Thanks Susan! I have been doing fieldwork, but I need to accept the award. Thank you for the compliment! I am following your blog as well! Wanda, thanks for sharing. I share your sentiments. People need to do their own critical thinking and fact checking. It isn’t very hard to do and doesn’t take much time. However, I think my feelings might go one step further, as I am opposed to the anti-gmo movement. That sort of thinking and spreading of misinformation is unhealthy for a society. It is a limiting way of thinking, even harmful. Also, I just recently visited the Danforth Plant Science Center for a small event about Improving the Human Condition through Plant Science. It was uplifting and informative. I was able to speak to some researchers about their projects, for instance “golden” cassava. Like the golden rice project, his project seeks to improve the nutritional value of the cassava, a potato-like plant that is a staple in the diet of many African nations. He said that anti-gmo sentiments are even abundant in Africa, amongst nearly starving and very turmoiled communities. Again, very good post and thanks for sharing. Thanks Colby! 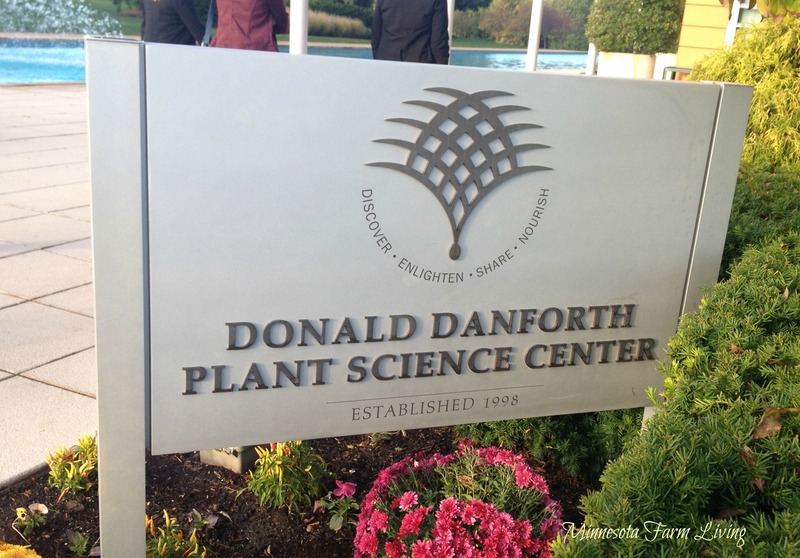 I too have been at the Danforth Plant Science Center and learned so much! We just need to keep supporting and advocating science. So why is the chemical companies, YES they are chemical companies spending soooo much money to keep them unlabeled if they are soooooooo good for the world? I am a farmer and I don’t see a reason to label genetically engineered foods. There is absolutely zero studies done that show any type of harm to humans. So why label something that is deemed safe by thousands of science based reports? I am not opposed to a national labeling bill, but not state based. State by state would just add confusion for consumers. Also,labeling is really not about labeling but rather anti-GMO. And only adds to unnecessary food fear. As a farmer, genetically engineered crops are good because we use less pesticides, which is good for the environment and ourselves. There are plenty of peer reviewed studies that show harm- You mention “one of the reports” . What about the hundreds more that show definite harm from eating GMOs? You can find more here- hvnogmos.org. Thanks. I spent about four hours reading material from this web site “hvnogmos.org”. It appears that much of the material is very one sided, full of assumptions, and not from independent research sources.